New-York Historical Society commemorates the 50th anniversary of the Stonewall uprising and the dawn of the gay liberation movement this summer, as New York City welcomes WorldPride, the largest Pride celebration in the world. Stonewall 50 at New-York Historical Society features two exhibitions and a special installation, as well as public programs for all ages. Letting Loose and Fighting Back: LGBTQ Nightlife Before and After Stonewall highlights the ways in which nightlife has been critical in shaping LGBTQ identity, building community, developing political awareness, and fostering genres of creative expression that have influenced popular culture worldwide. 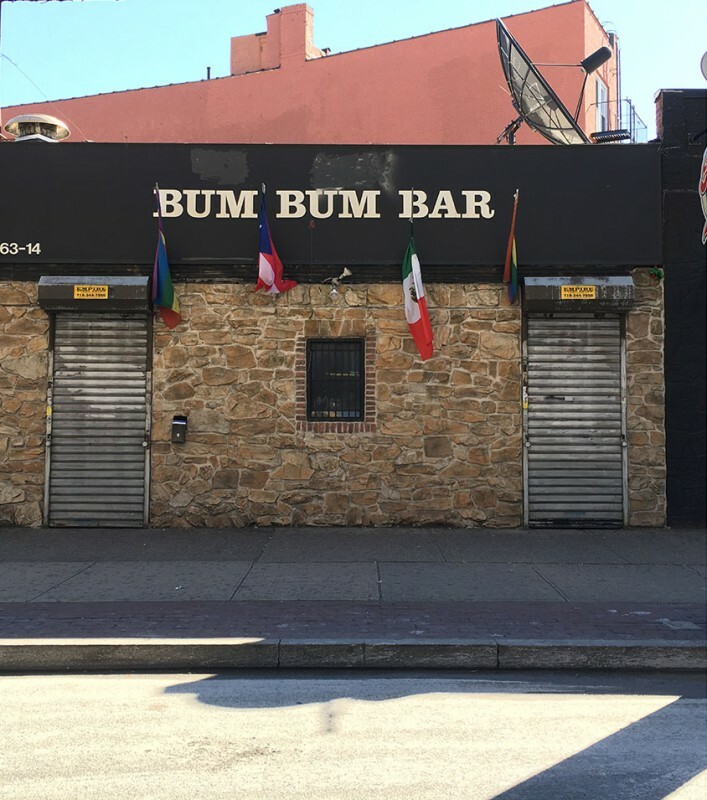 Serving as oases of expression, resilience, and resistance, LGBTQ bars, clubs, and nightlife spaces were hard-won in the face of policing, unfavorable public policies, and Mafia control. The exhibition begins with gay bars in the 1950s and 1960s continues through the rise of the gay liberation movement and the emergence of LGBTQ clubs as places of community activism. Undertow is a collection of works organized by Pacifico Silano. Includes works by Chris Berntsen, Elliot Jerome Brown Jr., Gwen Shockey, Jen Everett, Leonard Suryajaya, Pacifico Silano, Res, Sam Stoich and Troy Michie - Also includes an Essay by Emily Colucci. Art practice and artist identity are inseparable ideas, as artists pull from life experiences to influence their work. An art practice creates a space to confront and work through difficult or unresolved aspects of identity. While some artists focus specifically on body/identity politics, others create work indirectly related to identity such as connections, structure, place, process, and/or medium. The mission of the NYC Creative Salon is to provide a sustainable platform for creative discussions, the chance to network and collaborate and the access to an intimate small-group setting. While many creative professionals are producing and exhibiting work, the opportunities to discuss the work are lacking. We believe that the ideas behind a work and the creator discussing these ideas with others is just as important as making the work. We want to help support creative professionals by giving them another way to present their work and the experience to discuss their practice. Through the curatorial process of hand-selecting creative professionals, we look for common threads that will lend well to an organic group discussion. While the moderator asks questions and guides the conversation along, each participant shares their experiences through the lens of their practice. We hope that these connections will lead to future collaborations such as exhibiting together, curatorial projects, blogs, etc. or simply building a network of creative professionals and friends. The NYC Creative Salon is a series of discussions that take place bi-weekly. Each discussion is approximately an hour and a half long and takes place on a weekday evening. Each series is six discussions under one topic and each discussion has a different group of participants speaking on the topic. Ultimately, there will be six different discussions on one topic, in hopes of reaching a thorough investigation of that idea. The participants include a moderator and approximately 8 people working in various creative fields. We restrict the number of participants to 10 people in order to keep the group intimate and the discussion focused. 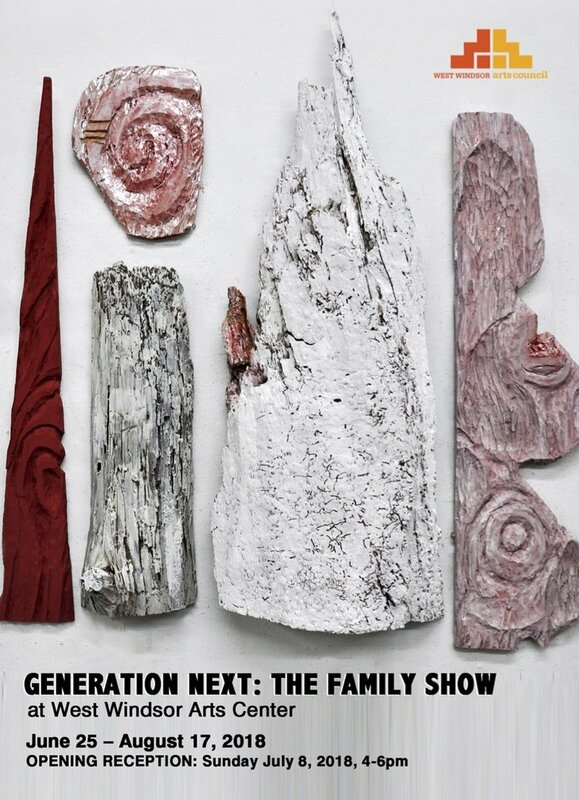 This year our Generation Next exhibition will focus on families of artists. A fascinating look at the “art gene” and how it is utilized and carried from one generation to the next through the work of parents and children who are all working fine artists. Sound Scene: Mapping Memory is a FREE and INTERACTIVE audio art "happening," for all ages. At the Smithsonian Hirshhorn Museum and Sculpture Garden. Gwen will be joined by Stacy Lentz (Stonewall), Flavio Rando (Lesbian Herstory Archives and LHA Lesbian Studies Institute) and Jay Shockley (NYC LGBT Sites Project) for a panel discussion — moderated by Ken Lustbader, co-Director of the NYC LGBT Historic Sites Project — on these landmarks in lesbian nightlife and their place in the LGBT movement. ADDRESSES will be showing at the Amos Eno Gallery through November 22, 2017. Amos Eno Gallery presents ADDRESSES, an exhibition of recent works by Gwen Shockey. A reception will be held on Friday, November 3 from 6 - 8 PM at the gallery’s new location on the first floor of 56 Bogart Street in Brooklyn, NY. 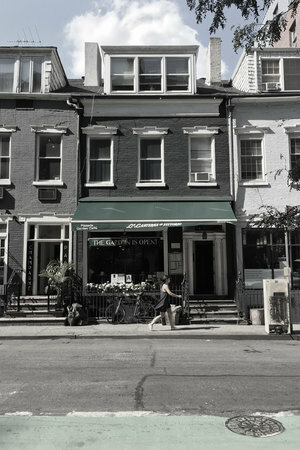 ADDRESSES investigates sites of lesbian and queer community gathering in New York City. Consisting of an expanding archive of prints and oral history interviews, ADDRESSES tracks the history of the Gay Rights Movement, shifts in identity building (and shedding) and the sociopolitical conditions of the city itself over the past six decades. Shockey began working on this project in 2015 and has since gathered over a hundred addresses and names of bars, clubs and venues that once hosted lesbian and queer gatherings. Shockey traveled to locations in Brooklyn, Manhattan, Queens and the Bronx, following instructions given to her by women she interviewed, to photograph what is there now. Because many of these spaces were mafia-owned or kept hidden to protect individual identities from law enforcement there is little recorded information about their histories. ADDRESSES creates an alternate map of New York based on word-of-mouth, memory and the search for difference, community and space for free expression. March 10 through May 21, 2017: 250 Works from the permanent collection in celebration of the museum’s expansion and reopening.